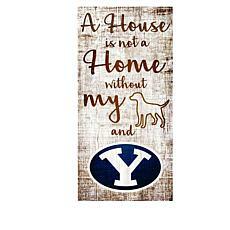 Provo residents and other fans of the Brigham Young University Cougars love the BYU merchandise from HSN.com, your convenient online BYU store. 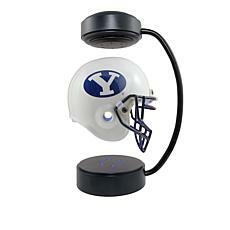 All these BYU goodies proudly feature the sporting teams' distinctive blue and white color scheme and team logo. 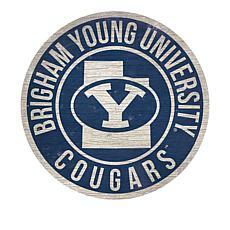 This recognizable logo makes sure everyone knows you're a Cougars fan! An NCAA stretch headband in BYU colors is the ideal fashion accessory for a night at LaVell Edwards Stadium, Marriott Center, or Larry H. Miller Field. Drinks taste so much better when you're sipping them from BYU tumblers. 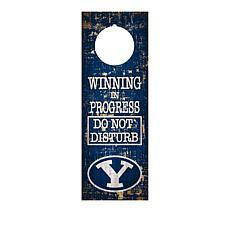 You can also encourage the next generation of Cougars fans with a "Born to be a BYU fan" photo frame, perfect for displaying photos of the smallest BYU supporters. 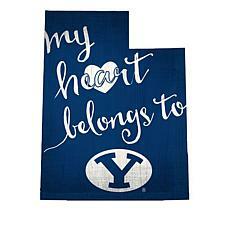 HSN.com's collection of BYU gear is so popular that some items sell out, especially during the sporting seasons. Look for the orange text denoting limited stock to make sure you don't miss your favorite products. If your budget doesn't quite cover them, don't worry. Selected items are available using FlexPay, HSN's flexible payment program. Remember, you can always choose FlexPay when you complete your purchase on an HSN credit card.